The skip short traces allows PeakTrace 6™ to skip over traces that have less than a certain number of bases and which may not be improved by PeakTrace. This setting is useful because the KB Basecaller typically basecalls short read DNA sequence well and hence the improvement from using PeakTrace can be minimal. By using this setting users can avoid having to manually preselect the traces for PeakTrace basecalling, a time consuming and often inaccurate step. This function is aimed at users who are only interested in improving longer runs, or would like to avoid having to manually preselect the traces that will see the most improvement from PeakTrace. The reads below the set read length are skipped over and the cost of using PeakTrace avoided on these traces. When using this function, trim settings, noise raw data and stealth mode will all still be applied to the short trace at no charge (Figures 1 & 2). If it is desired that trimming is not performed on the short traces then the trim improved traces only function should be selected. Trim improved traces only will apply the trimming to the PeakTrace processed traces only and not to the short traces skipped over. If the skip short/pcr base option is set above 500 bases then traces that could have been improved will be charged. A setting lower than 500 will allow more traces to be processed and the functionality of the skip short traces option will remain on, however a setting of 0 in the skip short/pcr base option will effectively turn skip short traces off, as processing will be attempted for all traces with more than 0 bases. If this setting is used with those settings that improve the KB traces (i.e. clean baseline, extra normalization, and extra baseline)then PeakTrace will improve the KB trace and this will become a charged trace. To avoid this, set the basecaller to peaktrace and/or unselect any of KB improving settings. A question we occasionally get asked is how to prevent users from accidentally reprocessing traces if they open them in Sequence Analysis. Since PeakTrace does not change the raw data in the .ab1 file by default, it is possible to reprocess the trace files through the KB™ or the ABI Basecaller again. This will regenerate the original pre-PeakTrace trace, thus losing the PeakTrace sequence. This problem can be avoided by using the Noise Raw Data option. The Noise Raw Data setting replaces the raw data channels with a random signal that prevents the accidental reprocessing of traces by KB or the ABI Basecaller. Figure 1 shows an example of the normal raw data channels contained within a .ab1 trace file. Figure 2 shows the raw data of the same trace after using the Noise Raw Data setting. Attempting to re-basecall the .ab1 file using KB will result in a KB processing error, thus preventing the PeakTrace basecalls and peaks from being lost. Figure 1. Example of raw data channels contained within a .ab1 trace file. Figure 2. Example of the raw data channel of use of Noise Raw Data setting. It is strongly recommended that if this setting is used that the the original .ab1 files are kept, since in the event that the KB version of the trace file is is required, there is no way to recover it once this option has been applied. This setting is off by default. One of the new features of PeakTrace 6.30 is the extra baseline setting. This setting further improves the appearance of trace files by removing non-base peaks such as dye-blobs and baseline noise. It does not affect the base or quality call of the output file. This setting is best illustrated with an example trace. Figure 1 shows an example trace that has been basecalled with the KB Basecaller™. The trace contains significant dye-blobs and noise peaks under the primary peaks. The appearance of the trace is not ideal. Figure 2 shows the same trace and region basecalled with PeakTrace 6.30 using the clean baseline setting. Much of the noise peaks have been removed, but the dye-blob region is still poor in appearance. Figure 2. PeakTrace basecalling using clean baseline. Figure 3 shows the same trace and regions as Figures 1 & 2, but using PeakTrace 6.30 and the extra baseline setting. The dyeblob region and noise peak signal has been removed from the trace. 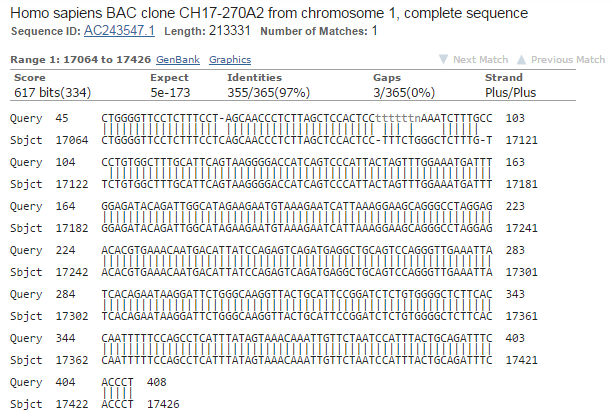 Note the DNA sequence and quality scores are identical in all three traces. Figure 3. PeakTrace basecalling using extra baseline. Applying extra baseline to traces with polymorphic bases (double peaks) and not using mixed basecalling. If you are going to use extra baseline on traces with mixed bases then it is imperative that you use the mixed basecall setting (i.e. setting the mixed peak threshold to great than 0) in both KB and PeakTrace. !! Failure to do this will result in the removal of the mixed peaks !! Large dyeblobs can cause problems of assigning the wrong peaks in the dyeblob region. The quality scores of these peaks will be low, but to an end user it will appear that the peaks are excellent and they may choose to ignore that the region is poor quality. The best solution is to use a large fuse trace or fuse basecall value (e.g. 250 to 300). This will minimize the chance that dyeblobs are turned into incorrect peaks. Using a large (> 1000) skip short/pcr base value can result in unnatural looking traces. The extra baseline setting is applied to the trace up to the skip short/pcr base. If it is required that a large skip short/pcr base value be used, then it is recommended that extra smoothing is also used. This will ensure the trace looks far more like a normal KB basecalled trace. The extra baseline setting has been changed in PeakTrace 6.40 to allow more user control over the threshold at which it is applied. Users now can control the quality score threshold below which extra baselining is not applied. For example, if the extra baseline setting is set to 15 only bases 15 or greater will have the additional baseline cleaning applied. This can avoid turning poor quality traces into traces that appear to be good, as well as avoiding the removal of mixed peak locations.